Right, so when an artist of P!nk’s calibre makes a statement like, “It’s my favorite video ever”, you’re hoping to high heaven that it’s going to live up to the hype. “Making this video was the most fun I’ve ever had in my entire career. I never wanted it to end,” she said. 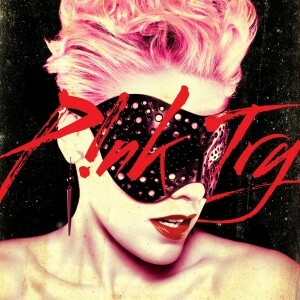 The thing is that P!nk always gives good visual with her clips. There’s never a dull moment with her on stage either. So combine all the acrobatic skills, performance and acting skills and it’s with much excitement that we cop our very first peek at the video clip for P!nk’s latest single ‘Try’ (cover art pictured). So let’s do this in point form. 1. Poor P!nk’s been grievously injured in a paint factory explosion. Or has she? 2. There’s a shirtless hottie. 3. Who’s not Carey Hart. 4. There’s some contemporary dance! 5. Which admittedly, P!nk is very good at. 6. Erm… did he just grab her left breast? RUDE! 7. Now she’s trying out her circus skills. 8. Is there anything this woman can’t do? 9. It’s powerful, passionate and poetic. One of her best videos yet. Song is a total grower..love it so much now!